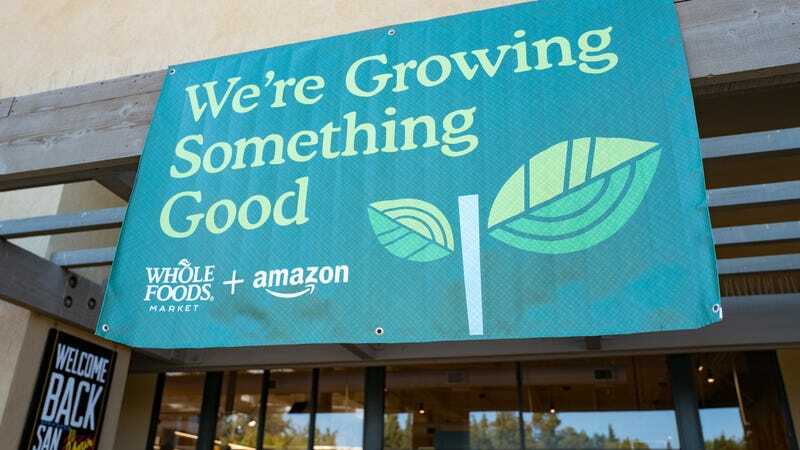 Heads up, Florida: starting today, Amazon Prime members get 10 percent off all items already on sale at Whole Foods, as well as additional weekly discounts on popular items. Heads up, everyone who isn’t in Florida: the program will roll out nationally this summer. Previous steps in this effort include free two-hour Prime Now delivery from Whole Foods, currently available in 10 cities, as well as fleets of Amazon lockers in stores, and the sale of Amazon products alongside the really fancy dips they have in those big nice glass deli cases. While it might not seem like much, 10 percent off sale items ain’t half bad, and if this week’s deals in Florida are any indications, the weekly bargains might be even better. According to Fortune, your average Florida man (or Florida woman) can get “$10 a pound off on halibut, $2 off organic strawberries,” and other deals. Discounts will be processed when members scan a Whole Foods app at checkout.